Converseen is a Qt application that lets you easily convert your image files from one format into another. Thanks to the powerful Magick++ image library, Converseen supports almost all image formats such as JPEG, GIF, PNG and SVG. 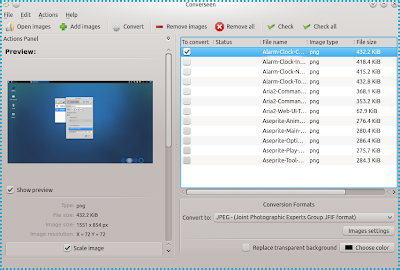 Converseen: A Cross-Platform Image Batch Converter from Yusuf Felly.